In over three decades as a music educator, Todd Stoll has taught young musicians at every level, from elementary school through college. His impact on public music education can be seen in his legacy at central Ohio’s Westerville City Schools where he served for 18 years as music teacher and for 10 years as music curriculum coordinator. 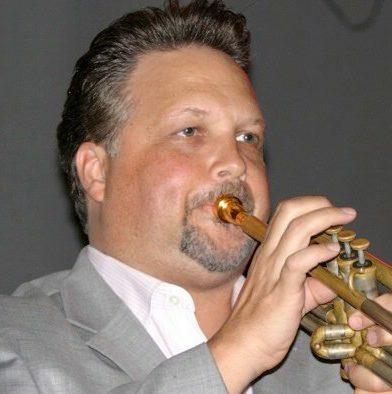 He has also served as Ohio’s president of the International Association of Jazz Educators and the inaugural chair of jazz events for the Ohio Music Education Association. His curriculum work has been implemented at public schools across Ohio and beyond, bringing jazz education to students who otherwise might not have received it. An experienced performer, Duke Ellington expert, and jazz advocate, Mr. Stoll founded the Columbus Jazz Youth Orchestra (CJYO) in 1991 to give young people the chance to cultivate a love of jazz through performance. He served as the director until 2011. Under his direction, the CJYO released six CDs, participated in the prestigious Essentially Ellington competition at Jazz at Lincoln Center, and toured Europe and South America. His students have achieved successes that have taken them to The Julliard School, Carnegie Hall, and the New York Philharmonic. In 2011, Mr. Stoll became the Vice President of Education at Jazz at Lincoln Center (JALC) in New York City, which continues to afford him the opportunity to bring jazz education programs to thousands of people of all ages and socioeconomic levels. Since he joined the organization, JALC has produced more than 15,000 education events in the US and around the world. The innovative Essentially Ellington high school jazz band program has expanded during his tenure, providing nearly 250,000 free scores to 4,500 high schools in all 50 states and 46 countries, reaching more than 750,000 students. An in demand conductor and clinician Mr. Stoll has appeared with numerous all state ensembles, the NAFME All National Honors Jazz Ensemble, and in Havana, Cuba at renowned music conservatories Amadeo Roldan and La Escuela Nacional de Arte. Mr. Stoll holds a Master of Music degree from the University of Cincinnati College-Conservatory of Music and a Bachelor of Music degree from Miami University. He currently serves on the boards of the Jazz Education Network where he is President-elect; the New York City chapter of Most Valuable Kids; and the National Association for Music Education Policy Roundtable.